Raju Narisetti most recently served as chief executive of Gizmodo Media Group, which publishes well-known digital journalism sites such as Gizmodo, Jezebel, Deadspin, Lifehacker and The Root. As the chief executive, he oversaw a significant expansion in the audience and journalistic ambitions of the group, to a monthly readership of about 116 million. 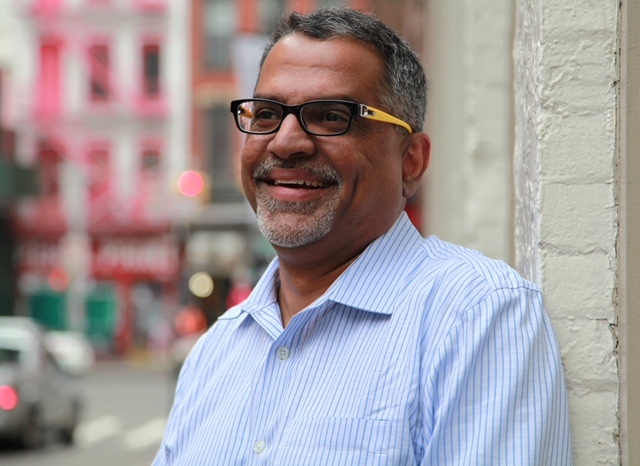 Prior to Gizmodo, Narisetti was News Corp.’s senior vice president of strategy, helping the media giant diversify and establish itself as the world’s largest digital real-estate listings company, in addition to its news and information portfolio that includes The Wall Street Journal, The Times of London and Harper-Collins. He was actively involved in the company’s mergers and acquisition strategy, spearheading new revenue opportunities, particularly in Asia. As a business journalist and editor, Narisetti spent 14 years at The Wall Street Journal, after first starting as a summer intern there in 1991. Among the roles he held at WSJ were Editor, The Wall Street Journal Europe; Deputy Managing Editor in charge of Europe, Middle East and Africa for the global WSJ; and Managing Editor, Digital. Narisetti also served as the managing editor for digital and new products at The Washington Post, and was primarily responsible for integrating the Post’s then separate print and online newsroom and businesses. His responsibilities at The Post also included managing web, mobile, engagement, social media, interactive, design, editing desk, video and photojournalists teams. He is also the Founder, in 2007, of Mint, now India’s second-largest business newspaper and website, which is today known for its pioneering journalistic code of conduct and ethics in India. Narisetti began his business journalism career at The Economic Times in New Delhi, and his U.S. journalism career at The Dayton Daily News. Narisetti is a Board Trustee of the Wikimedia Foundation, which operates Wikipedia, one of the Top 10 websites in the world, and is on the National Advisory Council of the Democracy Fund, a bipartisan foundation resource to strengthen the democratic process in the United States. He holds an M.A. from Indiana University and a B.A. (Economics) from Osmania University and an MBA from IRMA in India.